Now that I am focusing on Custom EcoMemory projects, I am really looking for ways to keep the project colorful but still true to nature. I usually focus on sunrise and sunset colors to really get some interesting colors from the Warm family. This balances out the Cool colors of green and blues depicting vegetation and water. I am still always on the lookout for unique color combinations. The tried and true method of mixing values like a light, medium and dark version of the same color helps gives variety and texture to many of my custom EcoMemories. 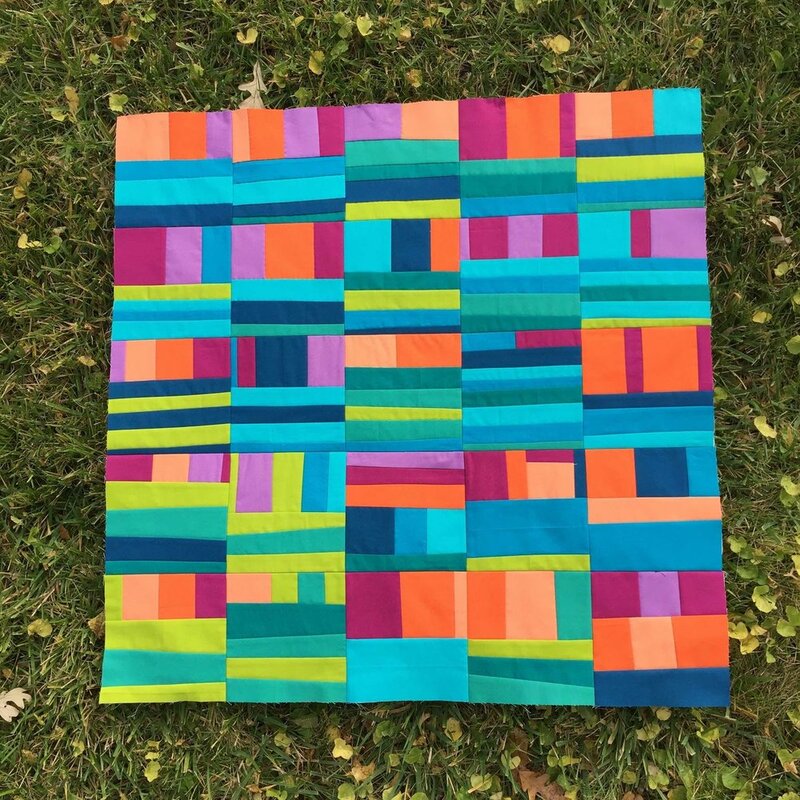 This is the first thing you learn in quilting, balancing the color values. Great tip. Here is an article I wrote about color choices. I bought the wrong green Kona cotton fabric at my local quilt store. I was going for chartreuse. And then I changed my mind thinking it was too bright and bought Peapod green. It reminds me a bit of the avocado appliance color from the 60s. I was not so happy as I looked at it closely when I got home. But then I realized I used this same Peapod fabric in one of my favorite series, Sunrise Over the Water. It just goes to show you. Day 126-150 Sunrise Over Water, 2015. Peapod green is the light green color seen in the horizontal strips. It is all about the context. The Peapod green fabric looks great with the blue-greens of the water portion and the oranges and magenta of the sunrise section. It added the light value I need for this piece. The same thing happened with the orange fabric I bought. I wanted a bright orange and I ended up getting a red-orange. Oh well. I know I can make it work based on the Peapod experience since it is all about the context. In the meantime, I'm going to play around looking for color combinations I think will work for both of these fabrics. To get some color ideas, I often look at Instagram hashtags. People put hashtags in their posted photo descriptions so all those photos with that hashtag can be seen in one place by searching for that hashtag in the app or clicking on a hashtag when you see it as a live link. This is one of my favorite ways to explore on Instagram. A huge source of inspiration for me is the #abstractart where I hang out the most. I am drawn to the color combinations and the textures from the paint. Now, I rarely use the same colors I see. The point is not to copy. The point is to get inspired, to let your imagination wander around in the possibilities. Then I go off on my own tangent. Sometimes the most interesting ideas come from unlikely sources. 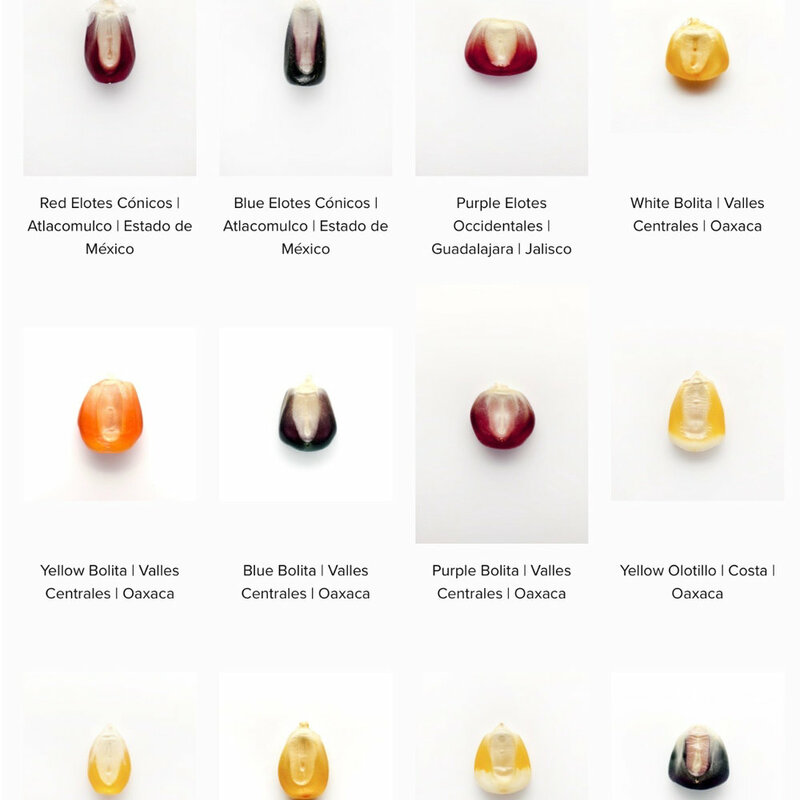 For example, my current series Sun Corn is based on a photo I saw of heirloom corn seeds. I was drawn to the warm yellows and the cool deep purples. The article was in the New York Times about chefs buying heirloom corn directly from the growers which is helping this struggling crop economy survive. So I imagine colors together by looking to outside sources for inspiration to get me thinking. Often times the best way to make the final color choices is to pull out the actual fabric and just "audition" it for a series. As I audition fabrics in context with each other, I am looking for contrast sometimes or peaceful harmony other times. It brings to mind nervous fabrics waiting in the sidelines hoping to be picked which seems silly now that I wrote that. No fabric will have to wait for too long. I have learned it is all about finding the right context for each fabric. To make my color choices more fun this year, I have joined a fabric club where a quilt store in Kentucky called Quilters Square sends me Kona solid fabric every month for 2016 with each month focusing on a different color. I received 25 different yellow fabrics last month and look forward to receiving oranges and reds this month. For someone who loves color this is all a dream come true. If you feel stuck in a color rut, just start looking and you will get that inspiration to move forward again.